President Donald Trump fired FBI Director James Comey on Tuesday, putting what many describe as an abrupt end to the controversial federal official's tenure. The firing has been viewed by many to be surprising and suspicious, in light of the ongoing investigation into President Trump's ties to Russia and its high-profile leader, Vladimir Putin. 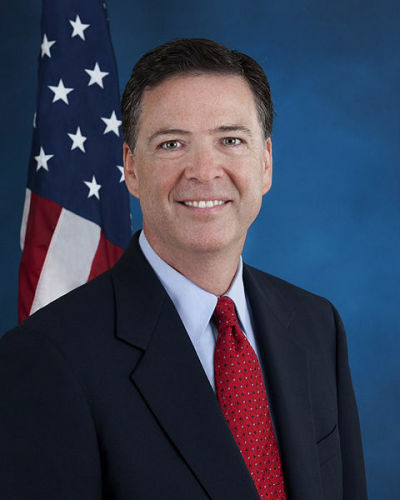 "Mr. Trump explained the firing by citing Mr. Comey's handling of the investigation into Hillary Clinton's use of a private email server, even though the president was widely seen to have benefited politically from that inquiry and had once praised Mr. Comey for his 'guts' in his pursuit of Mrs. Clinton during the campaign," reported The New York Times. "But in his letter to Mr. Comey, released to reporters by the White House, the president betrayed his focus on the continuing inquiry into Russia and his aides." Comey's sudden dismissal prompted a wave of reactions, most of them negative. Here are seven reactions from both liberals and conservatives.